Volvo Car UK has launched the highly innovative Life Paint, a product aimed at increasing the visibility and safety of cyclists on the road. 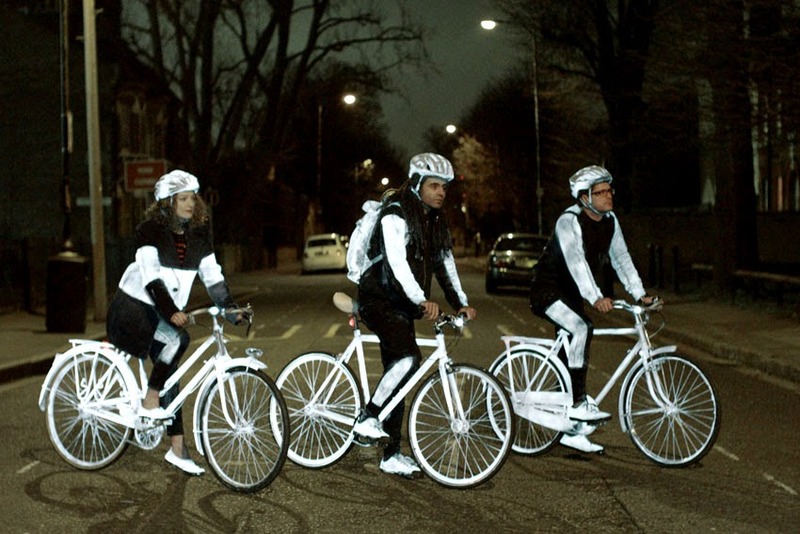 The unique reflective spray is designed to react to a car's headlights, alerting drivers to the presence of cyclists in the dark. by creative agency Grey London and has been produced in partnership with Swedish start-up Albedo100. It is a unique reflective safety paint which is invisible by daylight, but in the dark reflects light in the same direction as the light source, shining brightly to illuminate the objects it has been sprayed on. Life Paint is transparent and can be washed off. It can be applied to clothes, shoes, helmets, pushchairs and children's backpacks - even dog leads and collars. Its aim is to make the invisible visible at night. Life Paint has been trialled in six London-based cycle shops, where 2,000 cans were given away free of charge. If Life Paint proves popular, the project will expand nationally and internationally. The initiative marks another step by Volvo to improve safety for those both inside and outside its cars. This builds on the development of Intellisafe, a state-of-the-art Volvo safety system which integrates some of the most cutting-edge safety technologies to Volvo cars. The technology uses a combination of radar sensors and cameras to identify other vehicles, pedestrians and cyclists and automatically brake if the driver fails to take the necessary action. This works in conjunction with Volvo's Active Bending Headlights, which adjust left to right according to the steering input to help see round corners better and improve safety at night. Intellisafe's unique pedestrian and cyclist detection system, enhanced to work in darkness on the all-new Volvo XC90 to be introduced to the UK in June this year, was the inspiration for the Life Paint project. Together, these innovations contribute towards Volvo's Vision 2020 - the concept that that no one should be killed or seriously injured in a new Volvo by 2020. "Every year more than 19,000 cyclists are injured on the UK's roads. At Volvo, we believe that the best way to survive a crash is not to crash at all, and are committed to making the roads a safer place by reducing the number of accidents. Volvo is a world-leader in safety technology, and we are proud to be extending our reach beyond just those driving our cars. By making cyclists increasingly visible as well as increasing the safety capabilities of our cars, we are doing our utmost to protect everyone on the road," said Nick Connor, Managing Director, Volvo Car UK. Adrian Walsh, Director of RoadSafe, a leading forum for promoting and devising solutions to road safety problems,added, "Driving a car is a complex and demanding task. In poor light conditions it becomes even harder, especially in towns and cities where the road is often shared with cyclists and pedestrians. This innovative technology will certainly help to make it a safer place and it is really encouraging to see a manufacturer reaching out to make pedestrians and cyclists less vulnerable."